I’ve seen many people who leave the Mothership go on similar trajectories, where they go from contract to business idea to job to consulting then another business idea and so on. They circle through the same small set of options in a random order, without really making anything stick. I know this pattern because I’ve been through it myself. When I was made redundant (properly) I got outplacement and I spent 6 months applying for roles, going to interviews and getting down to the last two without actually landing a job. Then I started to get some consultancy work through my contacts, so I did that for a year or so. One of my clients was looking for a senior marketing person, encouraged me to apply and I duly got the job. It was the wrong job for me, in the wrong industry, working for the wrong sort of people but, hey, it was a job! And a well-paid one, at that. Of course, the job didn’t work out and after a couple of years we agreed to part (let’s call it ‘artistic differences’). So then I went back to consultancy but, as I was now more distant from my network, opportunities were harder to find. I did get a chance of a job, however, although I was treated so disrespectfully by the interviewer that I decided to ‘do my own thing’, which led to me buying a franchise. It was not a good decision. I am the wrong sort of person for a franchise and the people who ran it, it transpired, were not my sort of people. After 3 years we agreed to go our separate ways (it was complicated…). So it was back to doing a bit of consultancy, and some coaching. Then I got involved in someone’s business for a few months but that fizzled out. The consultancy leads dried up. I played around with the coaching stuff. I got involved in someone else’s new business, which turned into a sales role. After a year I realised it wasn’t right for me and I went back to coaching and consultancy …. I may have made particularly heavy weather of it, some do manage to make something stick and make enough to get them by. For many of them, however, they are keeping still at best. There’s something missing. In fact, there’s quite a lot missing, like satisfaction, meaning, purpose, connection and fun. This sort of spiral can be dangerous, especially if it continues downward. 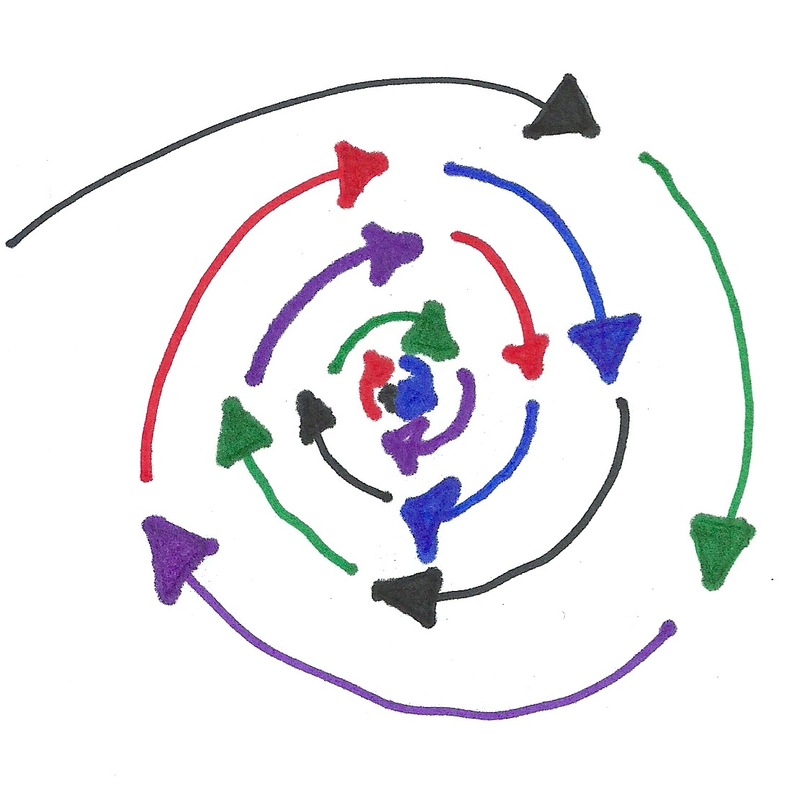 Spirals, however, can go upwards as well and the name of game is to change the direction. You see, there is nothing inherently wrong with moving between these different types of activity, that’s the nature of a career in the modern workplace. In fact, it’s quite possible that you will find yourself doing several of these at the same time, the ‘portfolio’ career as it’s sometimes called. The objective is to make them work with each other to propel you upwards, not downwards. To create a virtuous circle, one with increasingly richer opportunities and options. Ever expanding circles, you could say. The first step to making this change in direction is to acknowledge where you are. Are you on a downward trajectory, cycling through the options, going around in ever decreasing circles? Have you stabilised on one but feel that it’s not really enough, that you are working hard just to keep still? Not going downwards, perhaps, but still going round in circles. It can be very hard to see where you are and to be really honest with yourself, so you really need to speak to someone else who can take a detached view and will push you to answer the hard questions. That could be a trusted colleague who knows you well or perhaps two or three, to give you different perspectives and ideas. If you feel you lack those contacts, you can use a coach who is trained to listen, question and hold you to account in order to get to the nub of the matter. A coach will also be able to help you decide what the options are and work out the things you can do to turn those circles into a virtuous upwards spiral to a better future. Whichever you choose (which could be both), take some action to make sure you don’t keep going around in those ever decreasing circles. 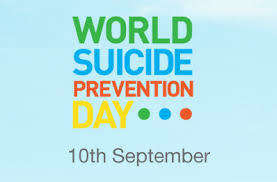 The title of this blog is the slogan used by it at The Movember Foundation to publicise World Suicide Prevention Day, which is this Saturday, 10th September. (Read about it here.) I suggest you read Gavin’s story, whose depression was triggered by being made redundant at the age of 40 from the company that he had worked at for 20 years. That’s right. His ‘After the Mothership’ story nearly ended with him killing himself. That’s how serious this stuff can be, that’s how hard it can be to cope. I’ve never felt suicidal but I have certainly had bouts of depression and suffered from anxiety. These are normal reactions to the major life change that you are going through. And the solution is to talk about it. With your family, with your friends, with professionals who are trained to give you help and support. The Movember campaign has a second slogan – Men, we need to talk. It’s not a sign of weakness to share your suffering and ask for help but because we have been conditioned not show weakness and be ‘strong’ at all times, we are reluctant to reach out. In fact, reaching out is the act of strength, it shows real courage. Of course, women also need to ask for help and to talk about their feelings. Generally, they do this better than men but even then they may be reluctant to open up, particularly if they work in male-dominated environments. I hope you never get to the stage the men in the case studies get to, I hope you never write a suicide note. The way to make sure you never get there is to talk about it. Call the Samaritans. Speak to a friend. Speak to your GP. Speak to someone. This is too important to ignore. If I can help you in any way, please get in touch. It’s why I started After the Mothership, to help people through this transition and, in that way, stop anyone from getting to the point where they want to take their life. I believe if we talk more about what we are going through and if I can bring people together to help each other, we can not only help people have a better future, we can save some people’s lives. Helpless. That’s how you feel when you lose your job. Things have been taken out of your control and you are powerless to affect them. That’s certainly how I felt on the three occasions it happened to me. When you leave the Mothership, you are likely to feel the same. Even if you chose to take the package, it’s likely that it was not at the time of your choosing. You may well have felt you still had much to offer and, given the choice, you would have carried on. You may have decided to walk through the exit door but you’d been edged over towards it first. Your success in creating a new life and career, however, depends on you re-establishing an internal locus of control, taking command over your behaviour in the belief that this will positively effect your outcome. That’s easy to say but much harder to do in the turmoil of emotions and hurt and anger you are experiencing. Your brain is in conflict, between your sophisticated, thinking mind and your neanderthal, emotional mind – what Shawn Achor calls the ‘Thinker’ and the ‘Jerk’, in his book “The Happiness Advantage”. The ‘Jerk’ responds to danger and triggers the ‘fight or flight’ response. In other words, it hits the panic button. The ‘Thinker’ responds to danger by thinking first and then reacting. It has the reasoning and coping capabilities to work out the best response. The problem is, the ‘Jerk’ has a hotline to the nervous system and when it hits the panic button, it overwhelms the ‘Thinker’’s ability to reason. This is known as an emotional hijack and this is what you are experiencing right now. You are a smart cookie but the ‘Jerk’ isn’t interested in that. It stops you from thinking straight and makes you react – with anger, distress and, eventually, helplessness. So how do you get back in command of yourself? By managing what is under your control. We all know Zorro, the swashbuckling master swordsman of Dumas’ stories, as a resolute, disciplined and fearless hero but Achor explains that this was not always the case. In the early stories Zorro is young and impetuous and fails in his quest to right the injustices of the world. The more he fails, the more he feels out of control and powerless (is this sounding familiar?). When the ageing sword master Don Diago finds him, he is broken and wallowing in drink and despair. Seeing his potential, the old man takes Zorro under his wing and promises that mastery will come with “dedication and time”. Back in the cave that is his lair, Don Diago draws a small circle around Zorro and he is forced to fight only within the circle for hour after hour, day after day. “This circle will be your world. Your whole life. Until I tell you otherwise, there is nothing outside of it”, he tells his protege. Once Zorro masters control of this small circle, he is allowed to attempt greater and greater feats, which he achieves. None of these subsequent feats would have been possible if he had not achieved mastery of that first small circle and, in so doing, gain control of his emotions and a feeling of accomplishment. It is only by establishing that sense of control over his own fate that he can start to become Zorro, the legend. 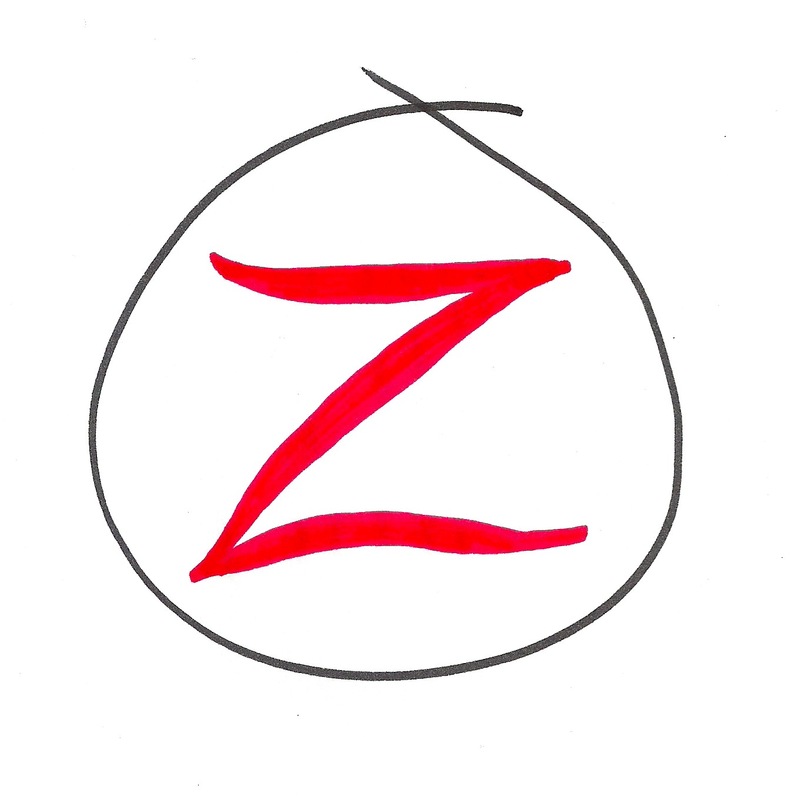 You need to draw your own circle of Zorro and learn to master whatever is within it. Remember, it is not about becoming a hero, it is not about the end point. It is about establishing a small area that you can gain mastery over before you take on more challenging tasks, so that you can regain control of your emotions, practice your skills, restore your faith in your abilities and once again believe you have control over your own fate. There are many things you could include but remember to keep it small. Setting out and keeping to a schedule for your day, taking regular exercise, eating well and drinking moderately, taking care of your mental wellbeing through meditation or walks in nature, being productive in some way like journaling or blogging or other creative projects, meeting regularly with friends and colleagues. Whatever you decide to include, practice taking action intentionally and taking control of your situation. Once you have exercised control and have mastery over this constrained area then you will be ready to push back the boundaries and expand your circle. Then you can start to be like Zorro and be the hero of your own story.